Hand cream is essential for me all year round. Purely for the reason that my hands get very very dry all year round. Particularly during the winter months. I got this hand cream as a free sample from a magazine towards the end of last year and I fell in love with it immediately. I never actually heard of this brand until I received this sample. 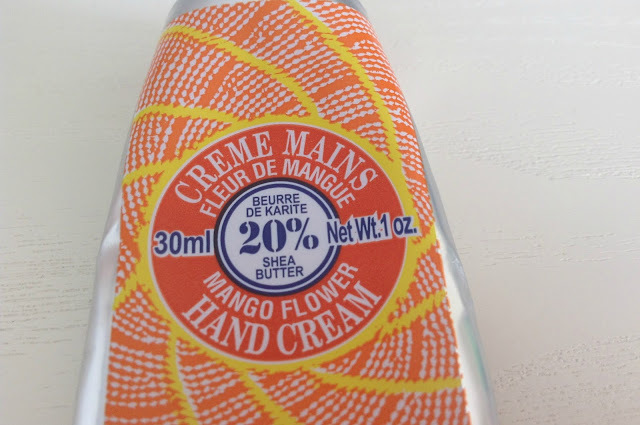 Yes I know I am a bad beauty blogger but once I researched the company I started to find out that one of the main things they are known for are hand creams. I've definitely added this to some of my future wishlists. One of the things I love about this product (besides the fact they've used my name) is the brightly colored packaging. If I ever see this in a shop I know that it would immediately grab my attention due to the patterns on the packaging and the color as well. The smell is absolutely gorgeous too and you all know that I love anything with a mango scent. Now that I think about it no wonder I like this product so much. The product comes out very thick. 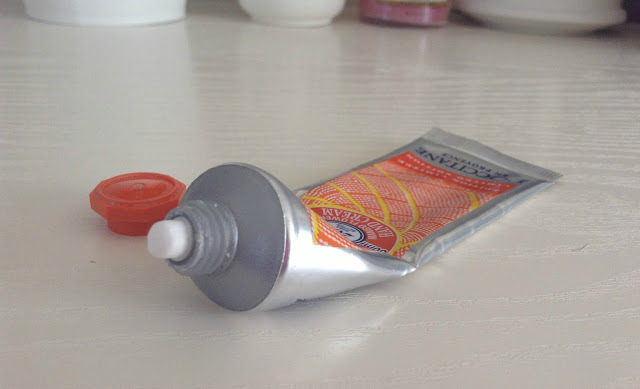 Normally with creams that have this thick of a consistency I very often find that my hands feel more greasy than moisturized and soft. However with this product it is definitely non-greasy. It also keeps my hands super moisturized and soft. It definitely worked a treat during the winter months and is keeping them soft and hydrated now that it is getting warmer as well. Even though this says 'limited edition' it is still available online along with the other limited edition scents which are Rose Petals (comes in a pink packaging) and Date Bouquet (comes in a brown packaging). The hand cream was priced at £8.00 however looking at the website I've noticed that they have reduced it to £4.80 which to me screams bargain. If you are tempted by this review I recommend you be quick and purchase it. Limited Edition items never say exactly how long they are on offer for so they could disappear in a blink of an eye. 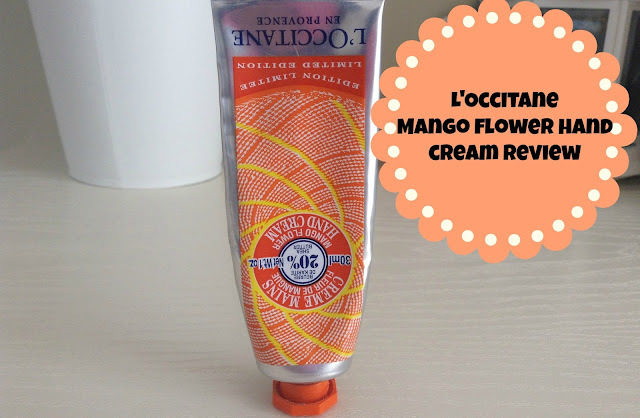 My aim is to try every item in the L'Occitane Mango Flower Collection as well if you haven't heard I am obsessed with all things Mango. 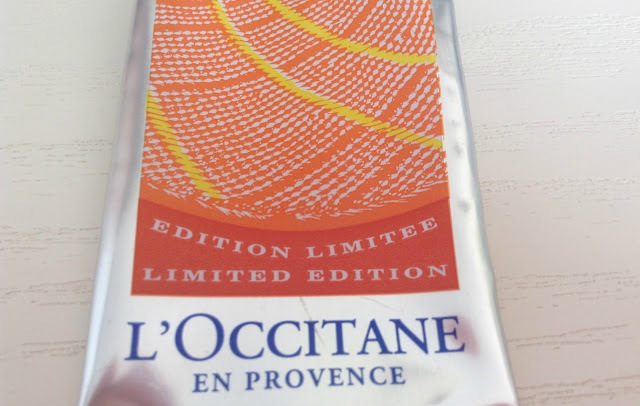 L'Occitane is also a brand I will be using more as I am very impressed with it so far. Have you come across this hand cream before? What are your views on it? Would you purchase it after reading my review? If you use L'Occitane are there any other products you would recommend? As usual leave comments below and I will reply to all of them.